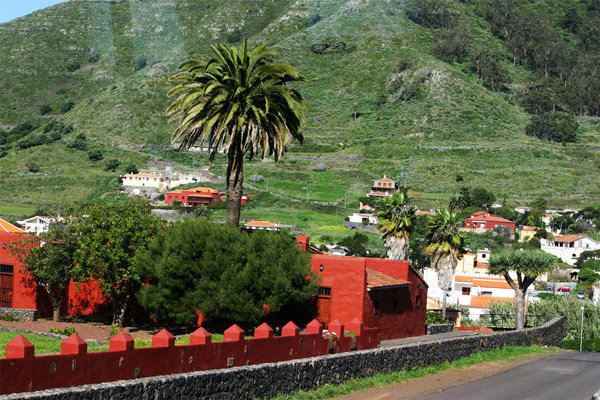 The Canary Islands are a highly underrated wine producing region. 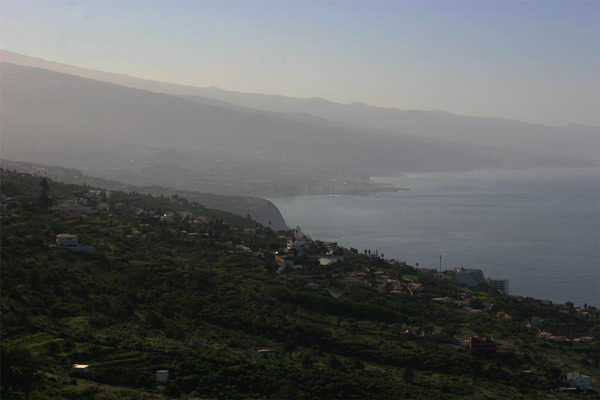 Tenerife, the largest and most populous of the islands, has many wonderful wineries just a short drive from the main port town Santa Cruz de Tenerife. 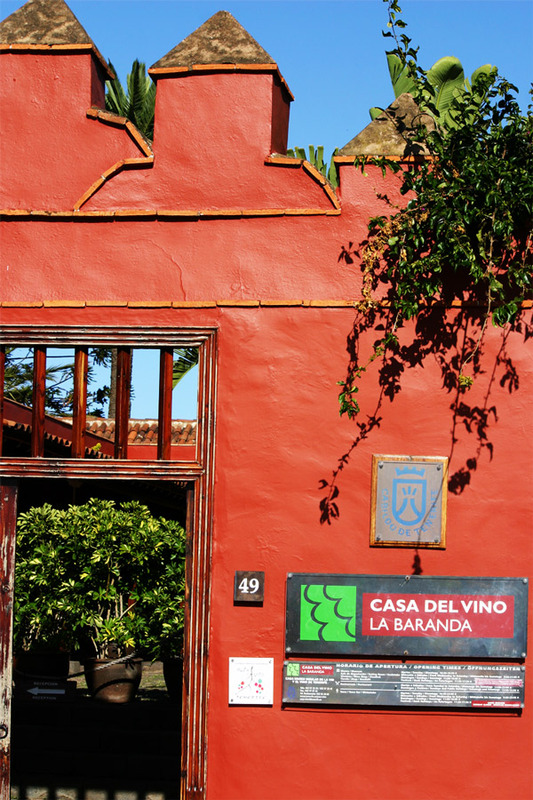 Just east of Santa Cruz is the La Baranda Winery. 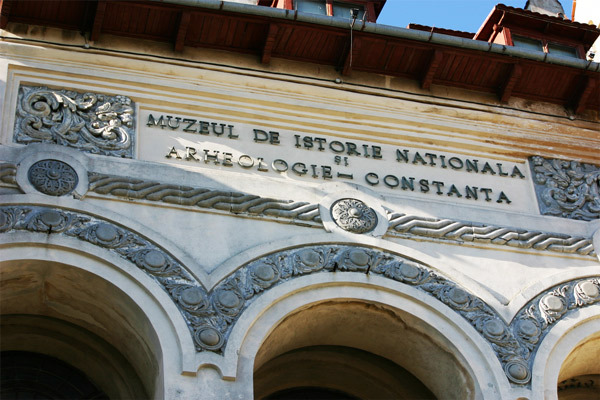 This is an excellent vineyard that also has a museum describing some of the historical aspects of wine-making. There is also a restaurant on the grounds that has fabulous views of the nearby mountains. Both the red and white wines are excellent. 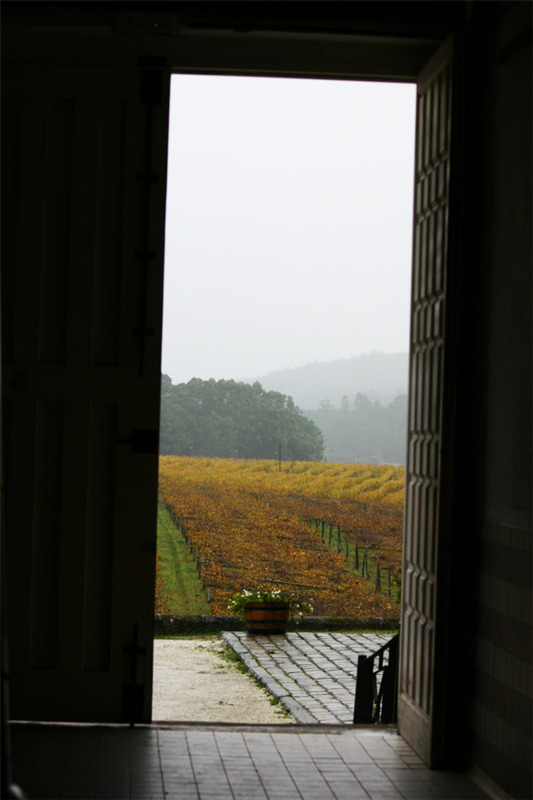 The views from the Baranda Winery are magnificent. 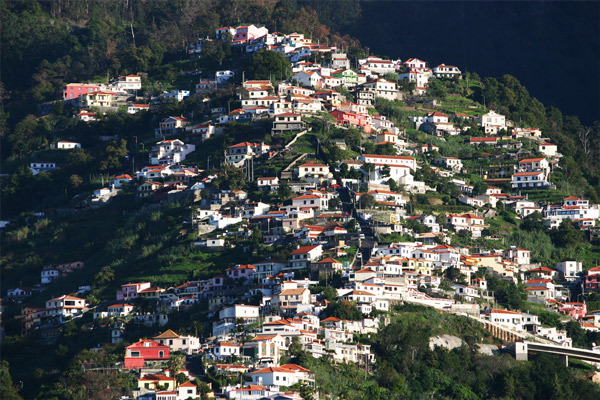 Terraced vineyards can be spotted on the mountainside down to the ocean. 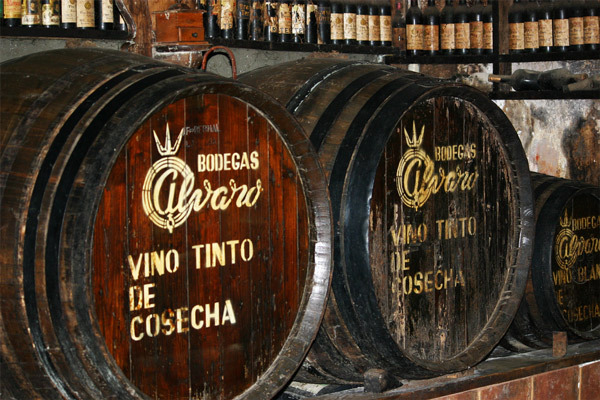 Alvero Bodegas is the best place to find the perfect Tenerife wine. 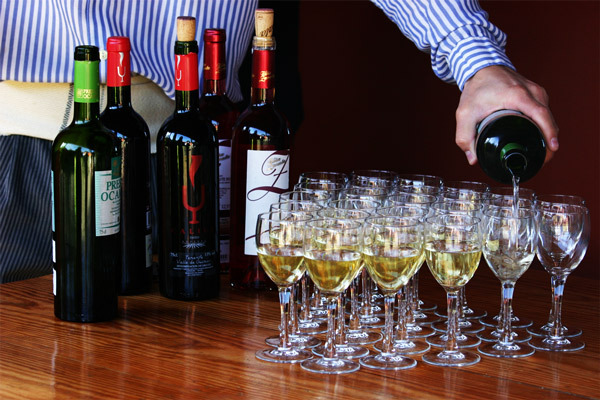 A large selection of wines allows visitors to find the perfect wine to match their desired taste. 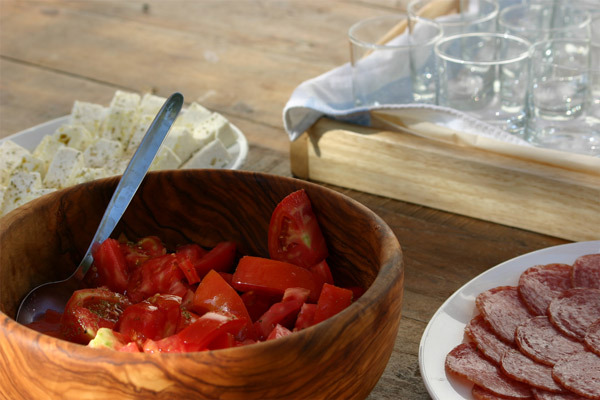 In order to truly experience the wine in the proper way, they offer excellent Spanish tapas to go with the red and white wines. 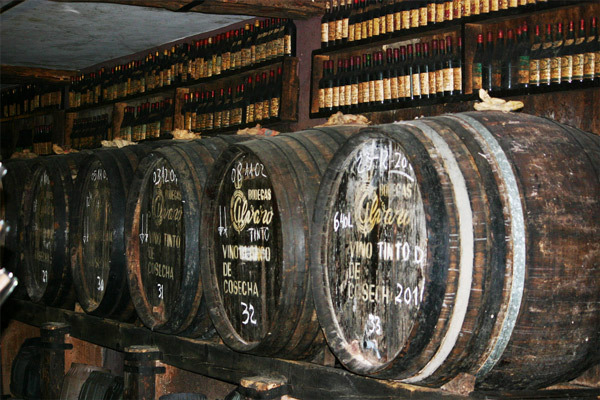 A sparkling wine called Cava is a real treat. 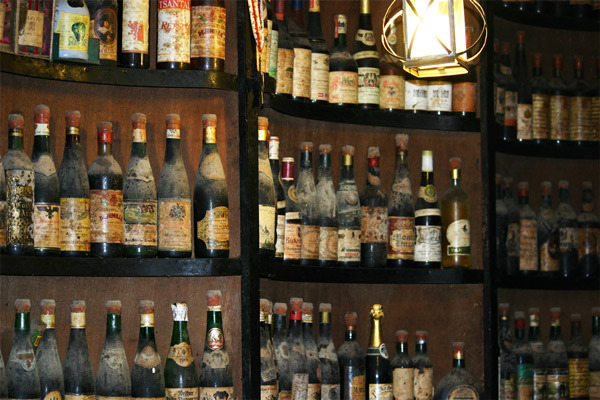 The bodega is filled with old bottles and barrels, many dating back many years ago. 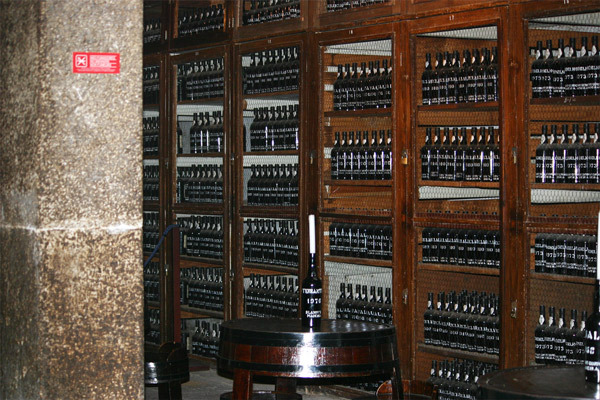 The dates of the wine may be difficult to determine, but the spiderwebs and dust give some indication. 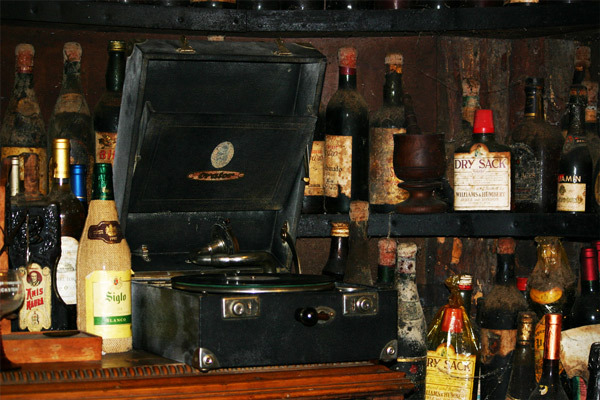 The bodega is antique looking and provides a real Spanish experience. 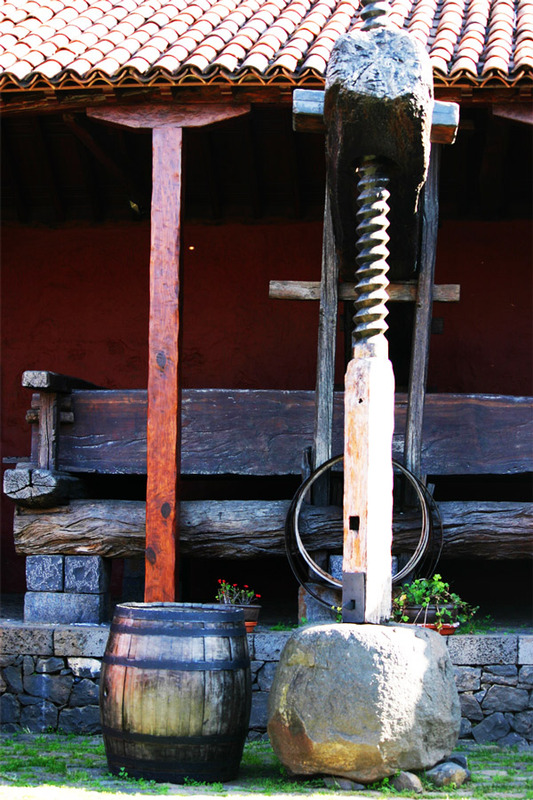 Any wine-lover will enjoy a visit to Tenerife with an exclamation of: ¡salud! 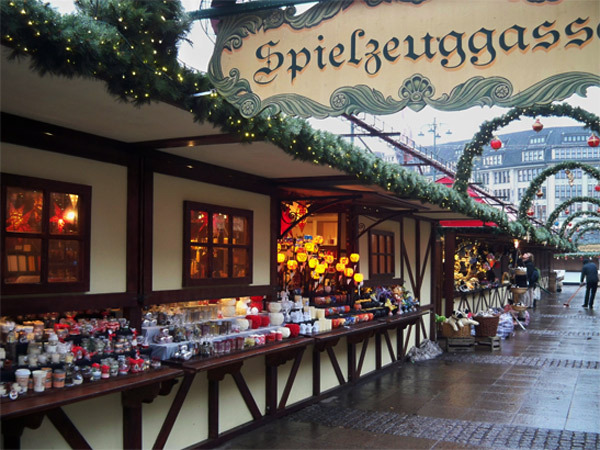 A Christmas Market in Germany! 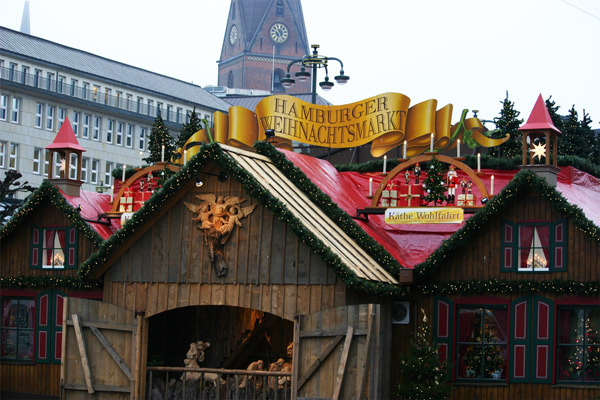 Hamburg, Germany has one of the world’s largest Christmas markets, or in German Weihnachtsmarkt, with locations spread all over town. 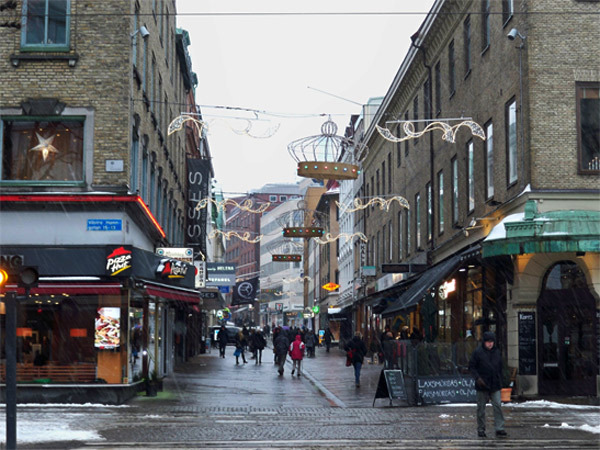 Wandering the Christmas market leads you to sections of the city that you may not have explored otherwise. 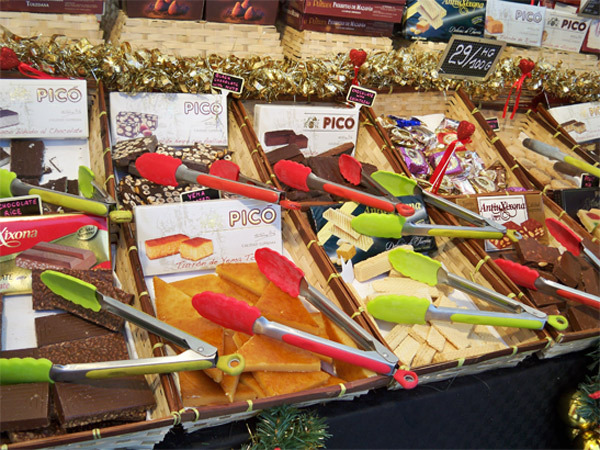 Visitors from all over Europe come here to see the wonderful Christmas decorations, partake in the magnificent shopping experience and taste the great German Christmas sweets. Of course best treat at the Christmas Market is the Glühwein, or hot mulled wine. 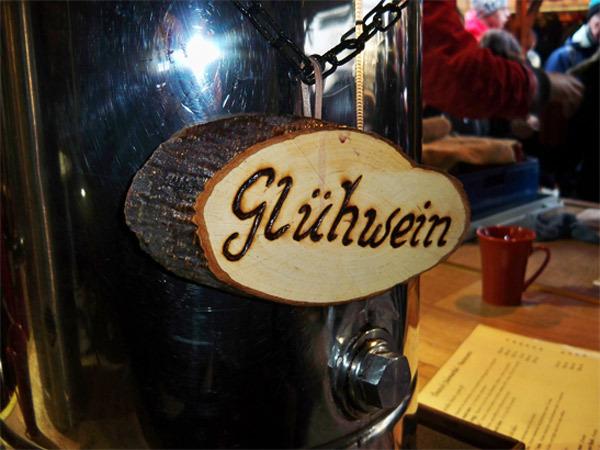 Glühwein has been made in Germany since the 1400s and it is believed this is the place where it originally was made. 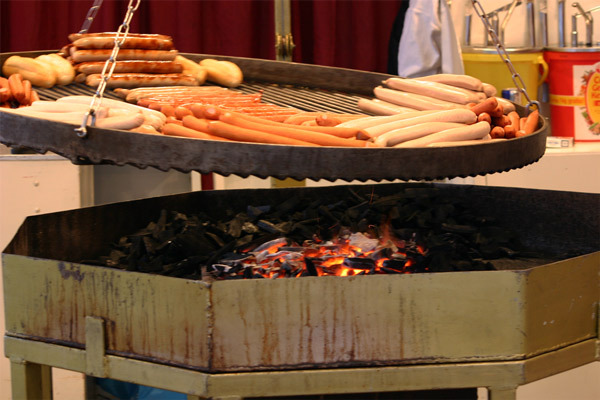 With the hot wine and the smell of cooking sausages in the air you know you are in Germany. 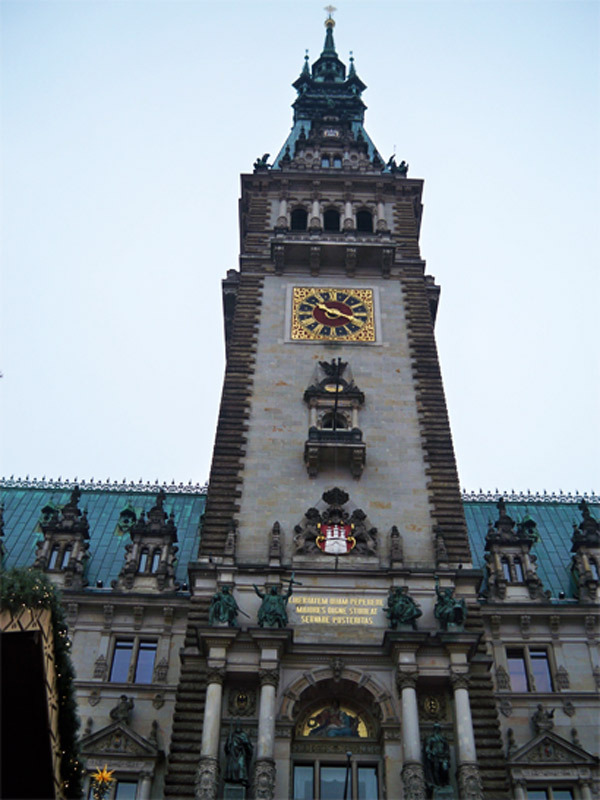 One of the largest Christmas Markets in the city is under the City Hall. 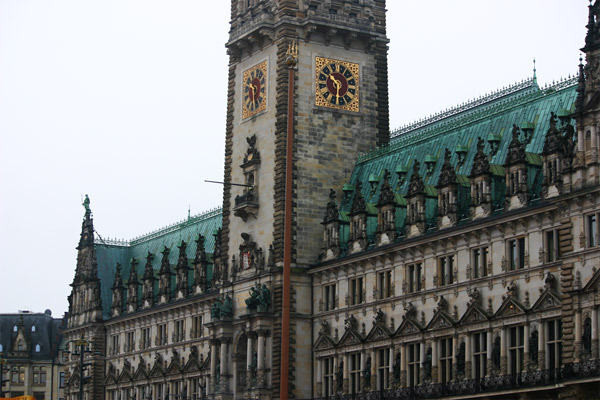 The Hamberger Rathaus, or Hamburg City Hall, is a city landmark. 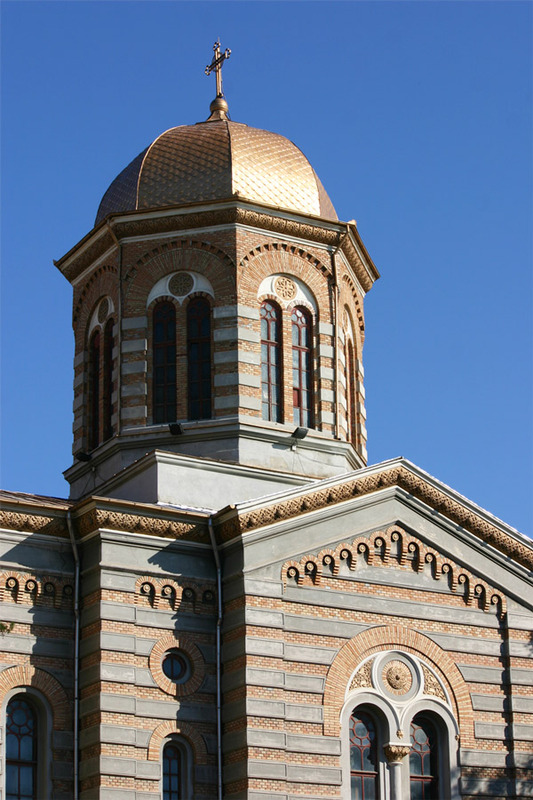 The current structure was completed in 1897 after a fire had destroyed an earlier city hall. 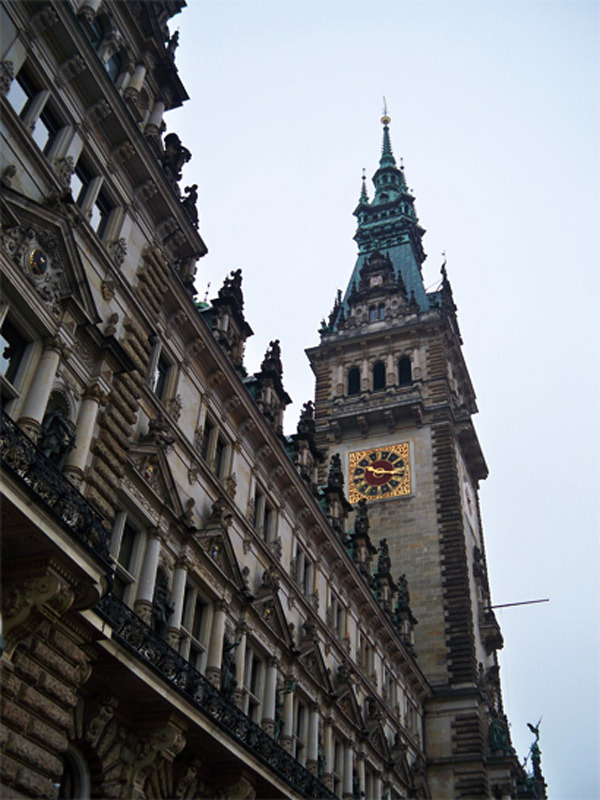 The building is known for the tower and the small clock on it. Standing under this impressive building in the hustle and bustle of the Christmas Market lets you know its importance in the city. 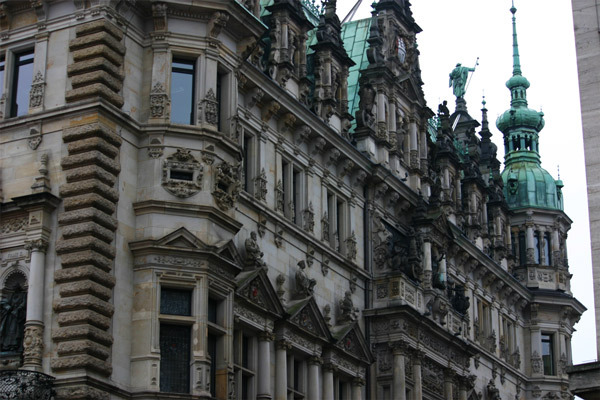 Hamburg is the location where the Alster and Elbe rivers come together. 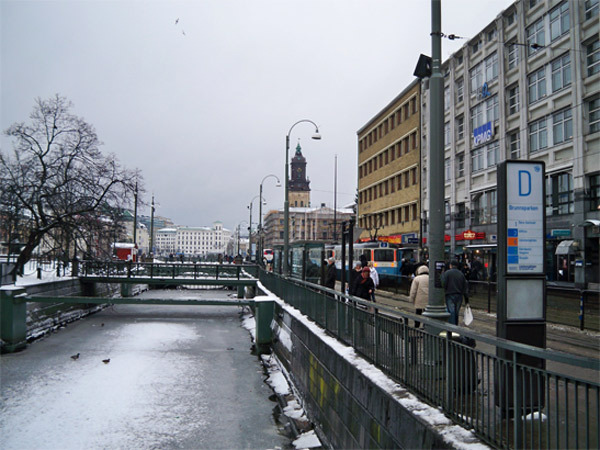 There are many other small rivers that come nearby, making bridges necessary to move about the city. There are over 2,300 bridges in the city, meaning that is has more bridges than Venice and Amsterdam –combined. 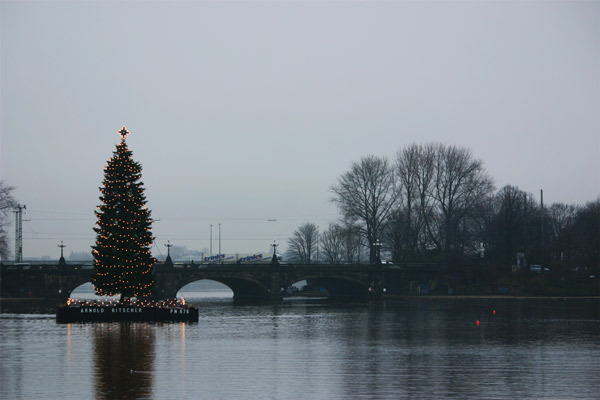 All the way from Germany I wish everyone a joyful holiday, or in German Fröhliche Weihnachten! Hej (hello in Danish) from Denmark! 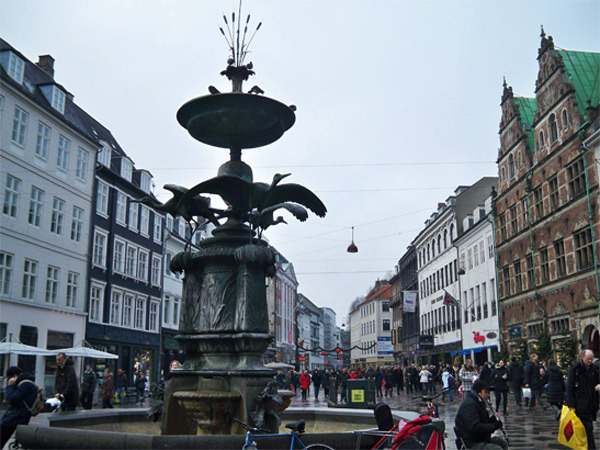 The city of København, or Copenhagen, is one of Northern Europe’s jewels. 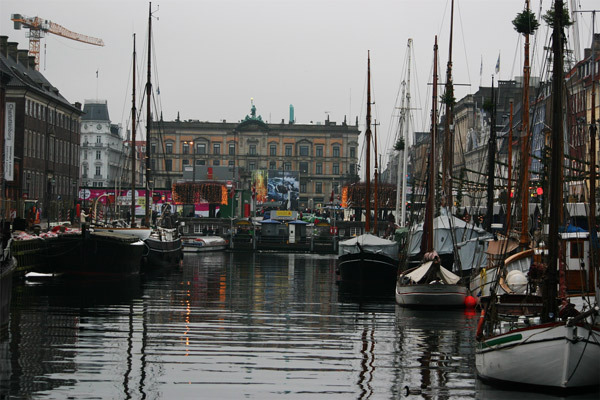 As in elsewhere Northern Europe the city has a network of canals that were used to establish a trading empire, but today they provide marvelous charm. 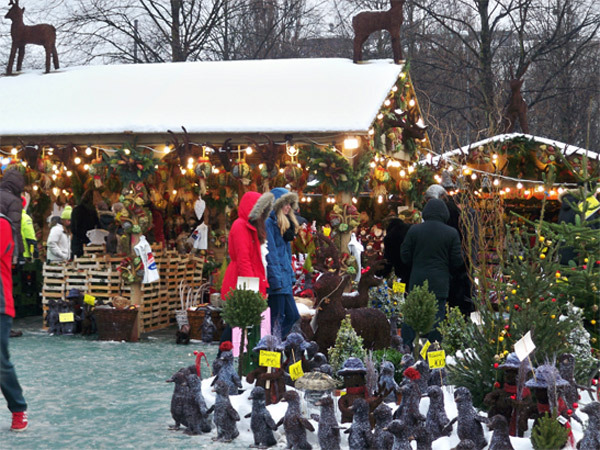 Christmas time is a wonderful time to visit because it is home to one of the best Christmas markets in the world. 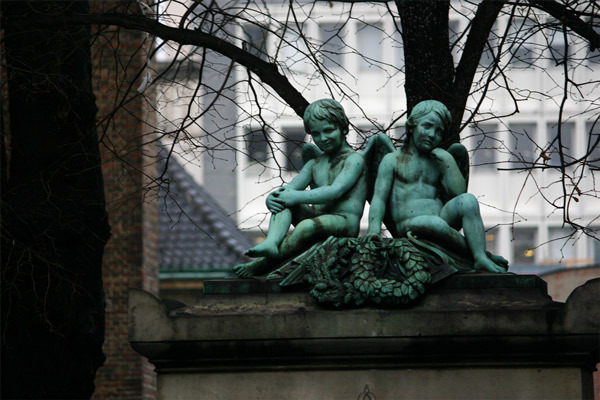 I loved it here so much I have vowed to make a trip to Copenhagen a Christmas tradition. On this day it seems that everyone was out doing their holiday shopping. 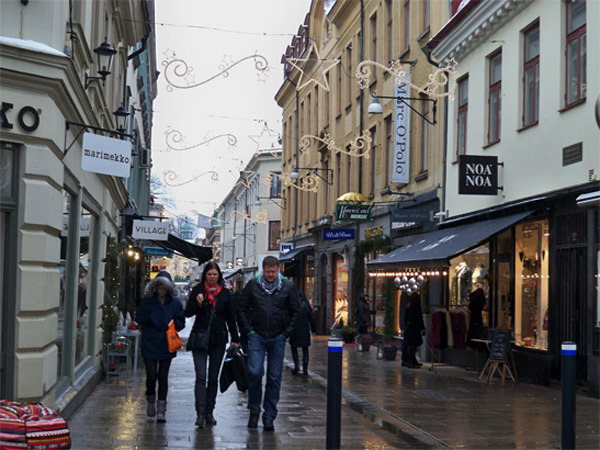 People were out exploring the stores and Christmas Market stalls all over town. 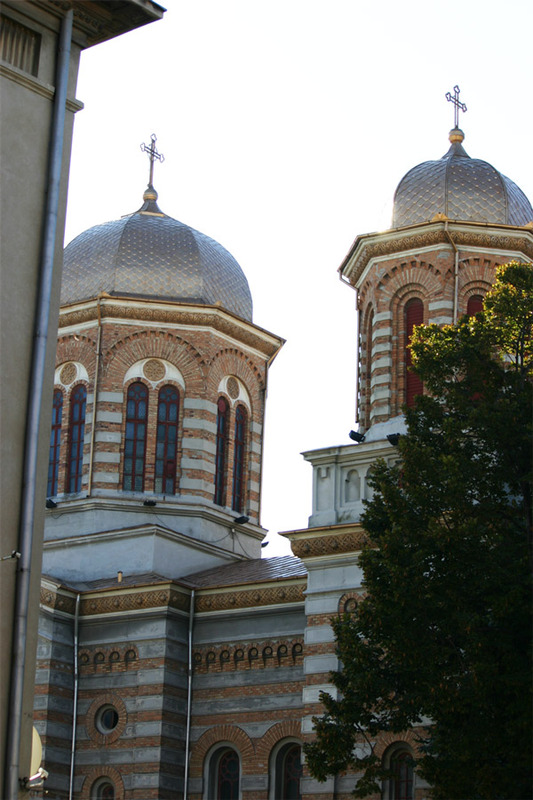 The most picturesque section may be the stalls along one of the canals. 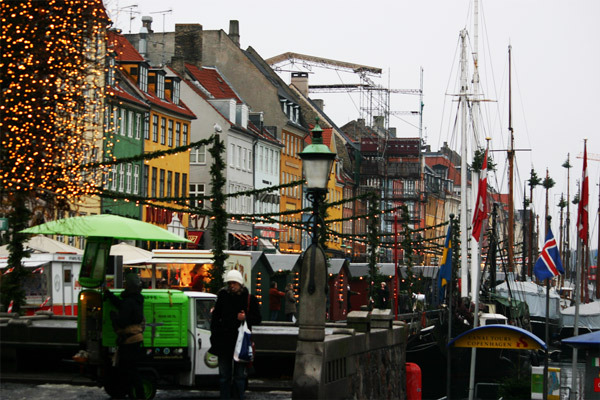 The sailboats, Christmas lights and colorful buildings make for an amazing sight. 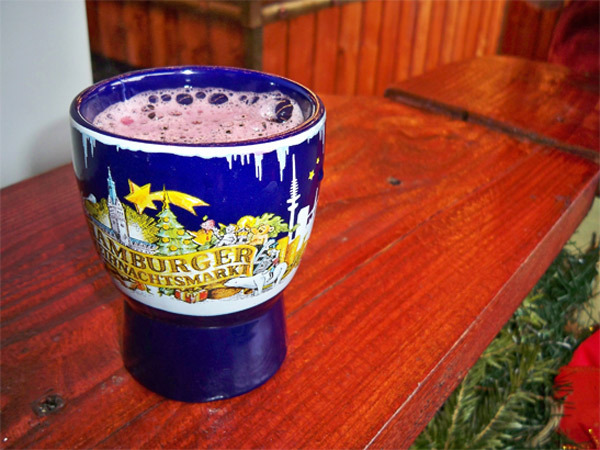 A cup of Glühwein, a hot mulled wine, is the drink of choice here at the Christmas Market. 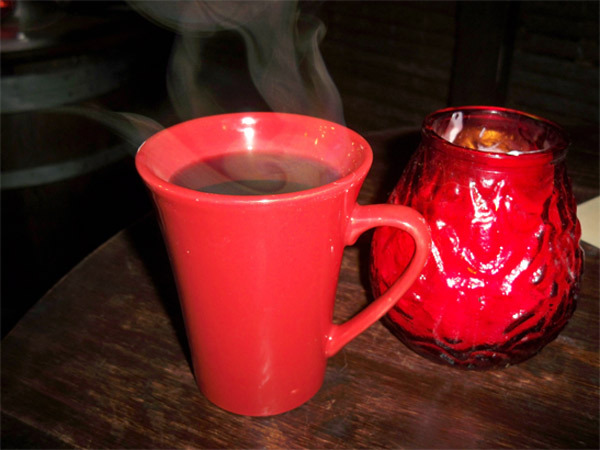 It is a perfect way to warm up while strolling through the cold. To make this tasty treat, you combine heated red wine with cinnamon, cloves, citrus flavoring and other spices. What a delicious treat! 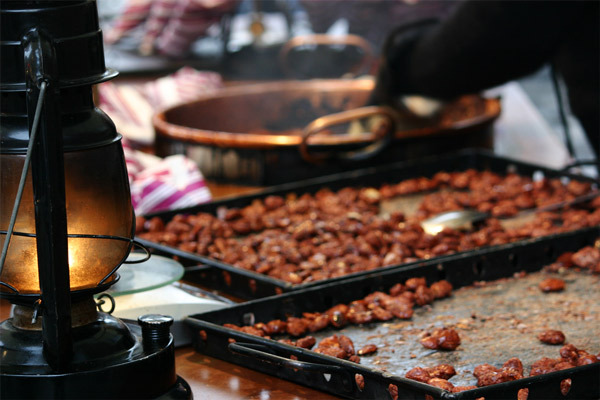 One magnificent smell that permeates through the streets is that of hot roasted almonds. 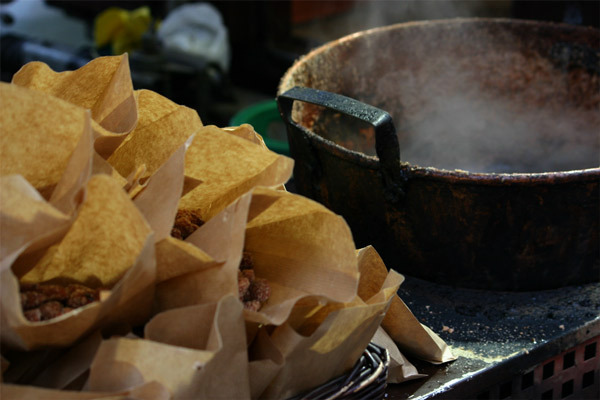 These treats are toasted, coated with sugar and cinnamon right in front of you as you walk down the streets. 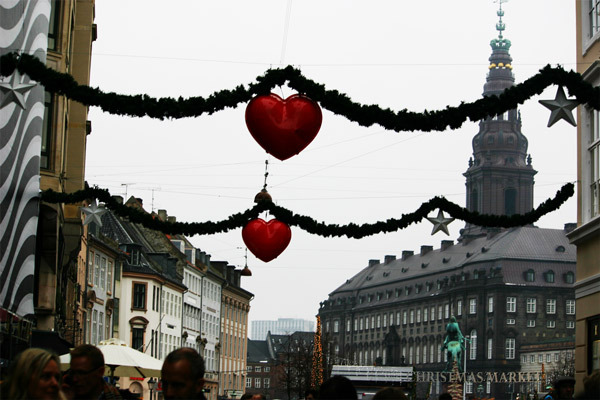 København is a magnificent city any time of year, but it particularly so during Christmas. 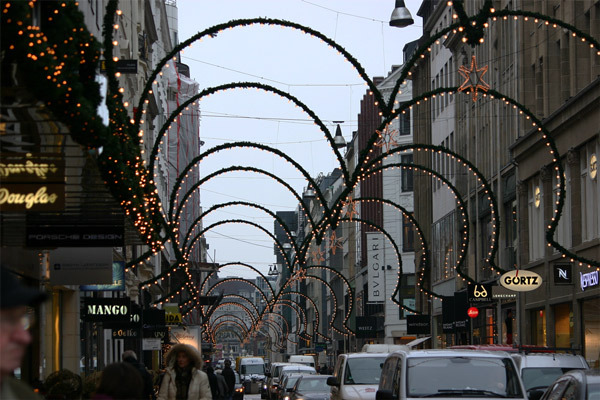 I wish you all a Merry Christmas, or as they would say here in Denmark, Glædelig Jul! 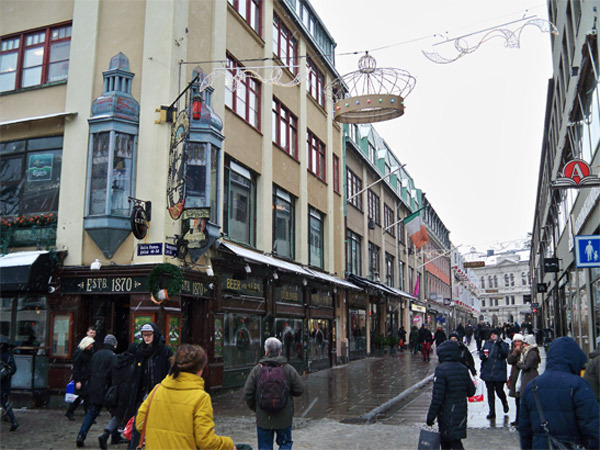 Göteborg, or in English Gothenburg, Sweden is the second largest city in the country. 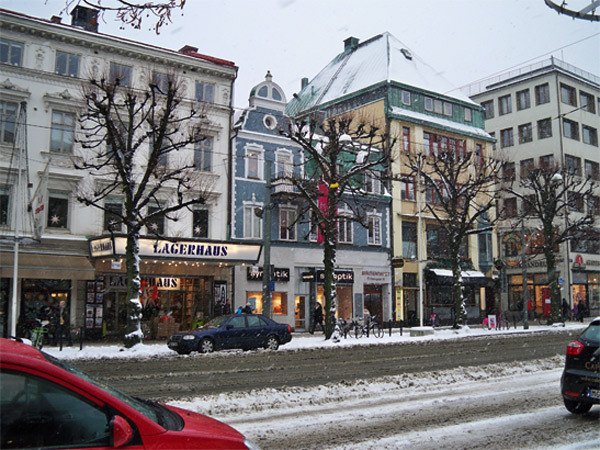 I am not sure if it was the Christmas Market, Christmas decorations, the Swedish people or the lovely snow, but I absolutely fell in love with the energy of this beautiful city. 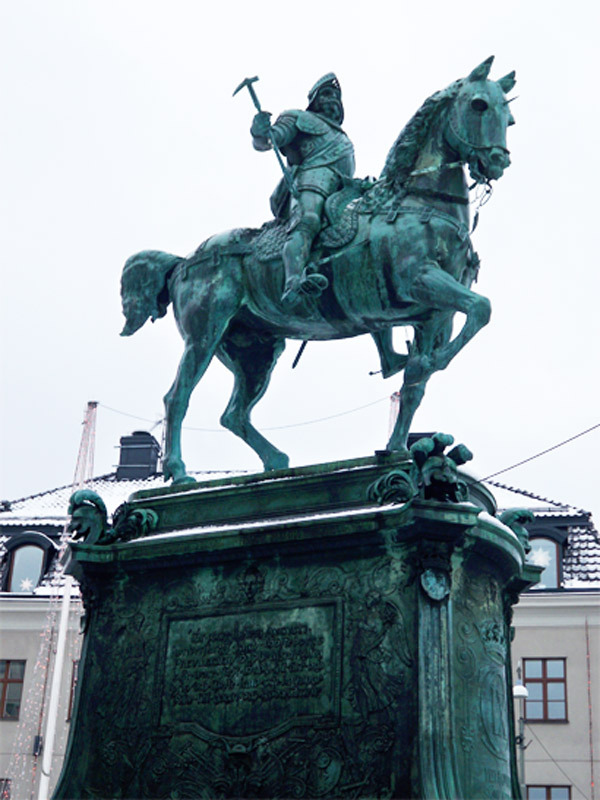 One of the landmarks of this beautiful city is the Statue of King Charles IX of Sweden sitting upon his horse. 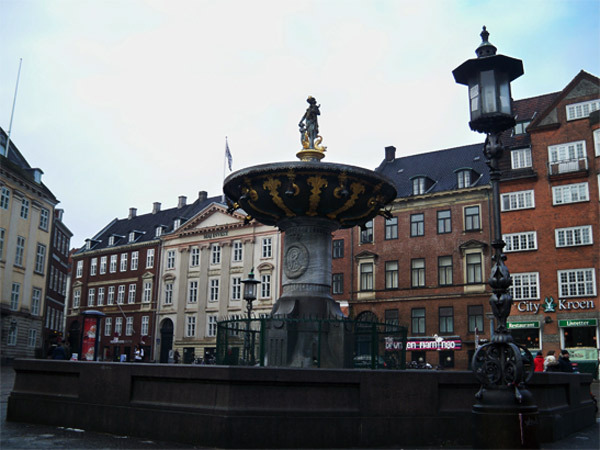 The King who founded the city to be a center of trade, and in those early years of the city there were more Dutch nationals than Swedish. 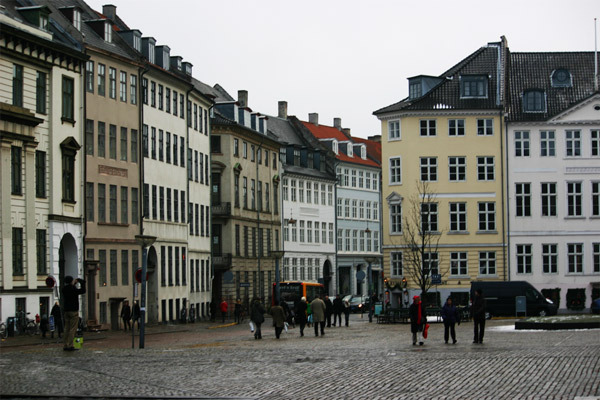 But as the city grew the Swedish nationals flocked to the city. 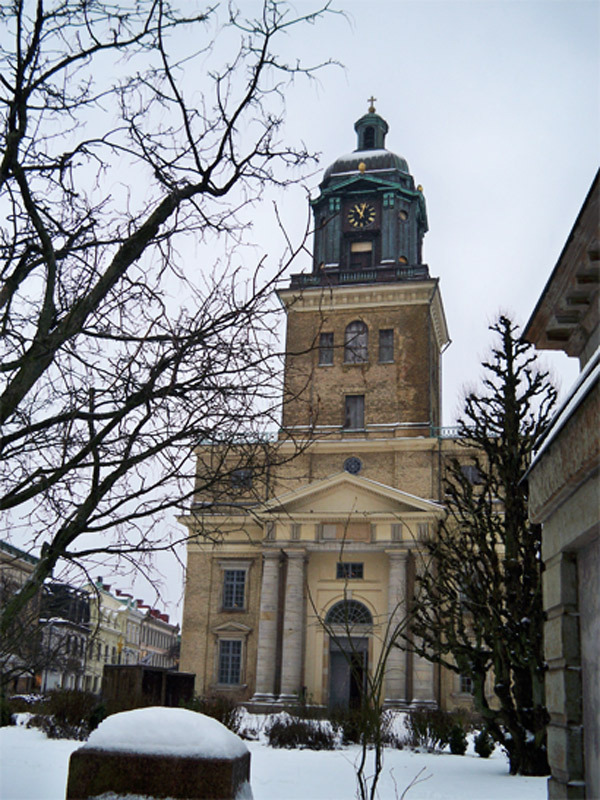 The city is now centered around the Gustavi Domkyrka, or Gothenburg’s Cathedral, that has a clock on its tower. 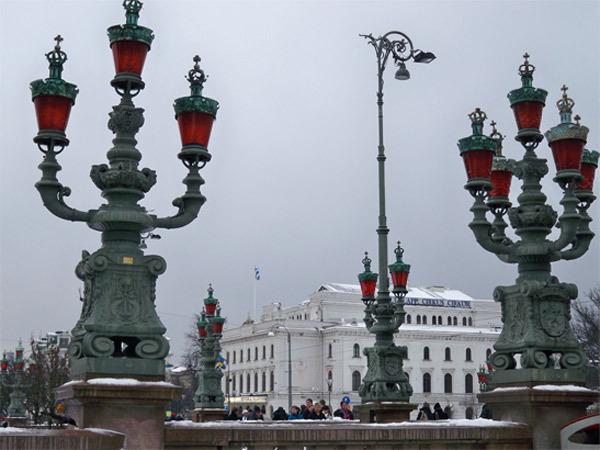 Water is integral to the city of Gothenburg, which means there are many bridges over the natural inlets and man-made canals. 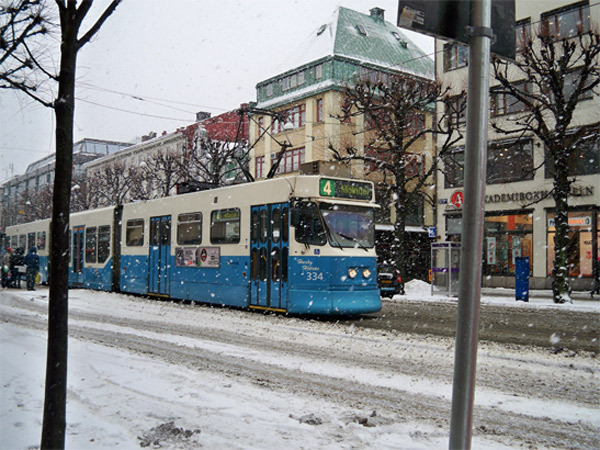 As one would expect, December in Sweden that means snow. 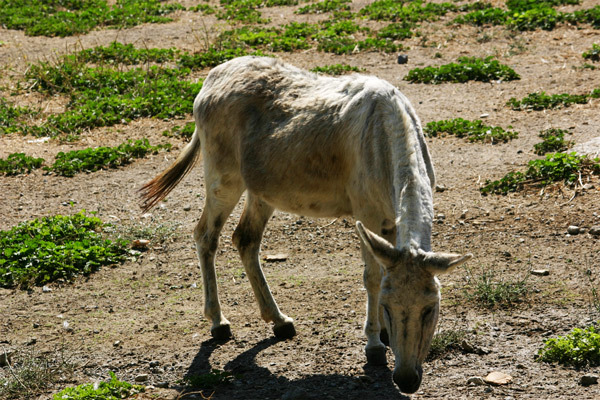 The locals seemed to take in it stride, going about their daily routine. 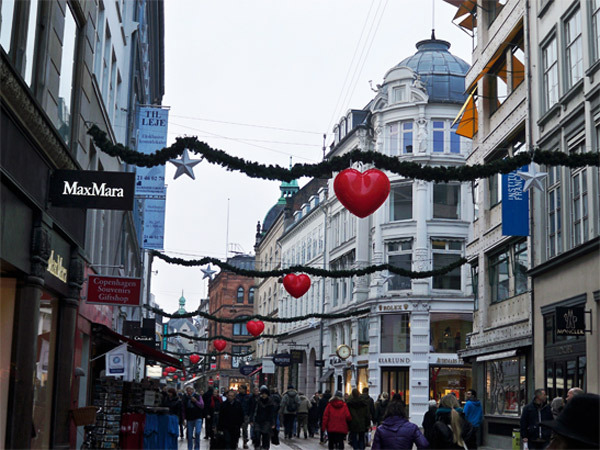 The city of Gothenburg decorates the pedestrian walkways to create an amazing Christmas atmosphere. 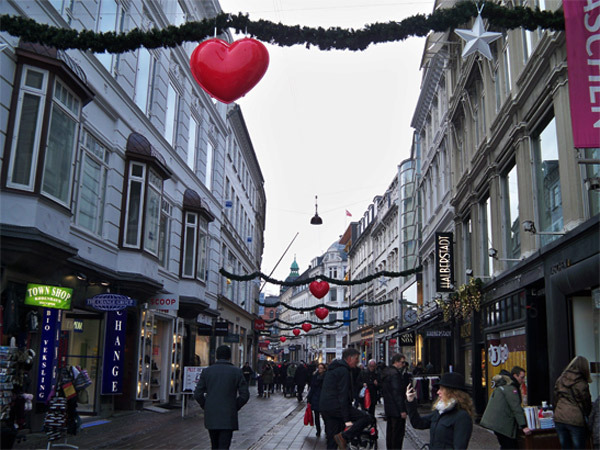 The Christmas atmosphere permeates from the streets into the shops and cafés. 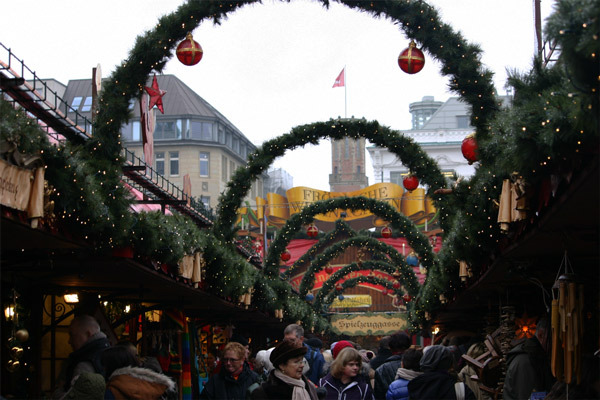 But it is the Christmas Market that has that most Christmas feel. 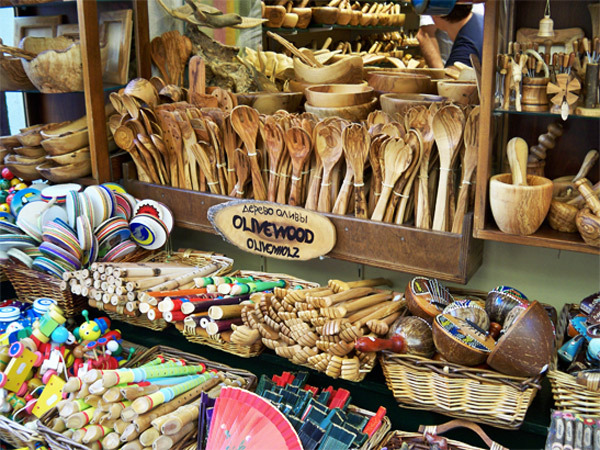 Vendors have their small stalls set up selling all types of different things. Vendors seem to try and out do one another with the evergreen garlands and lights. 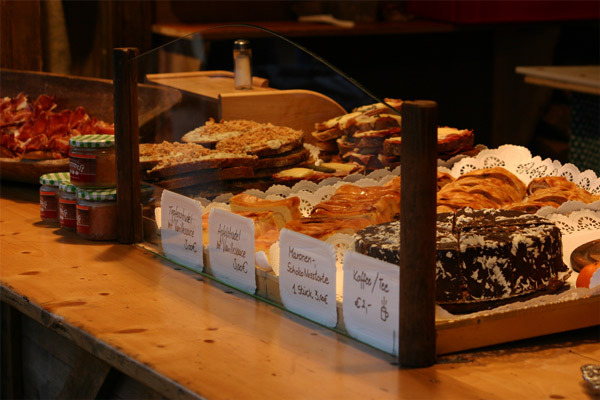 There are so many sweets that are so enticing. 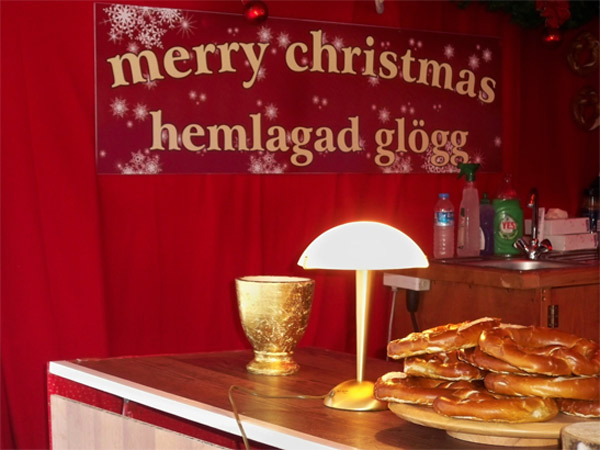 One tradition that a visitor to the Chirstmas Market must enjoy is a mug full of glögg. 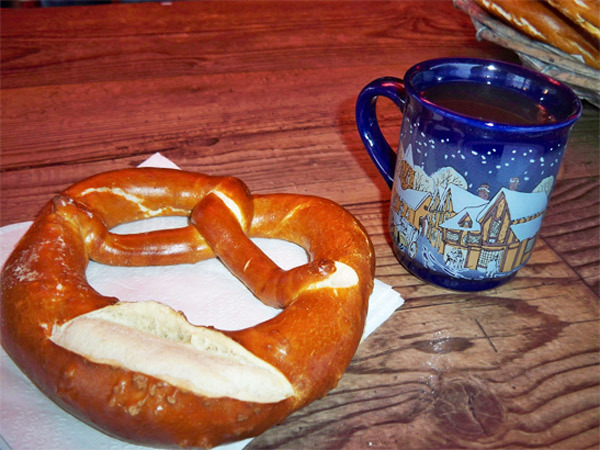 Glögg is hot mulled wine, and when paired with a pretzel makes an excellent snack. 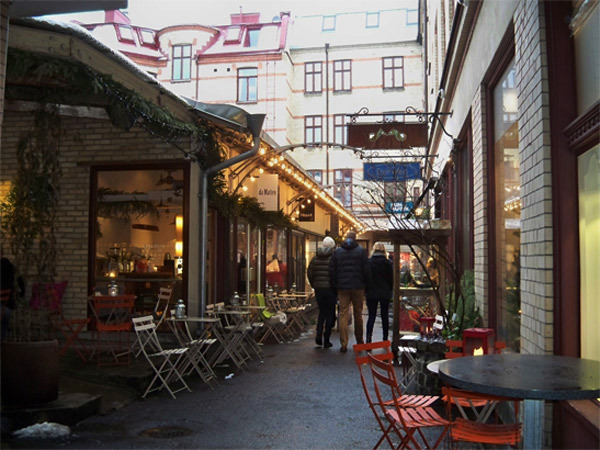 The hot wine combined with the warm pretzel is an excellent combination that can be used to combat the cold weather so you can continue to enjoy the Christmas market in Gothenburg. 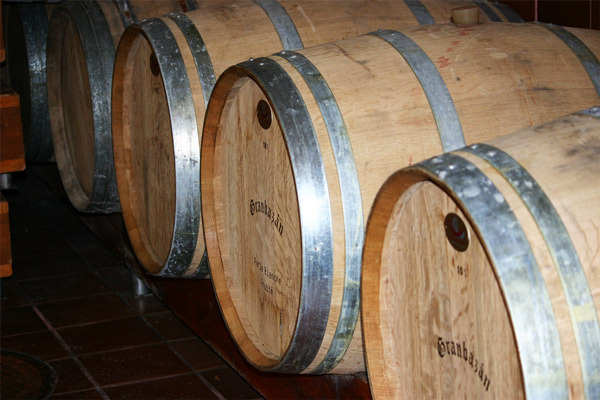 Some locations are synonymous with great wine–Bordeaux, Tuscany, Napa. 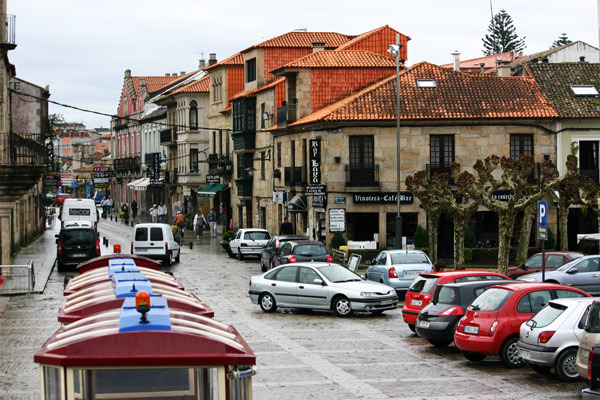 One more should be on that list, Galicia. 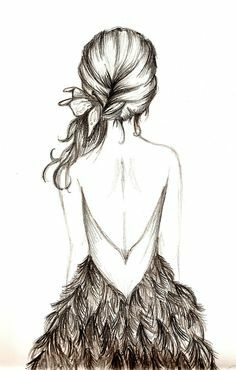 As those of you who routinely follow my blog notice that I have a the privilege of visiting many fabulous wineries all around the world. 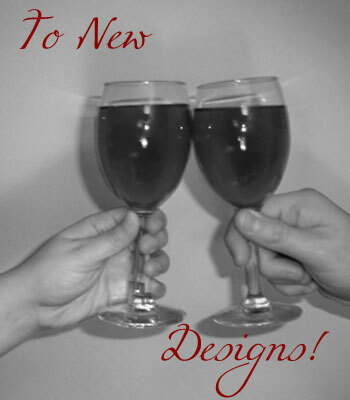 (Hint: click on Vino in menu bar to the right to see all my wine postings.) 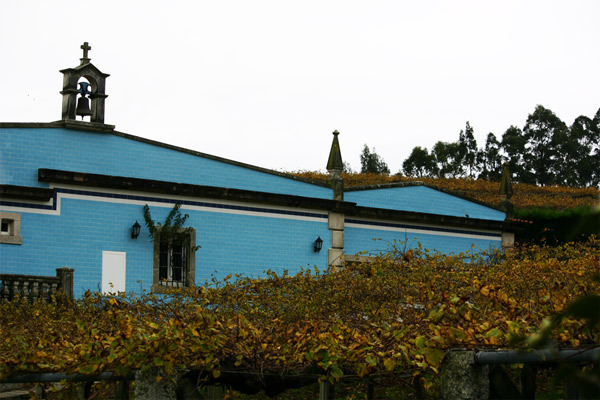 The Galician wines are very similar to the Porto wines located just south of here in northern Portugal. 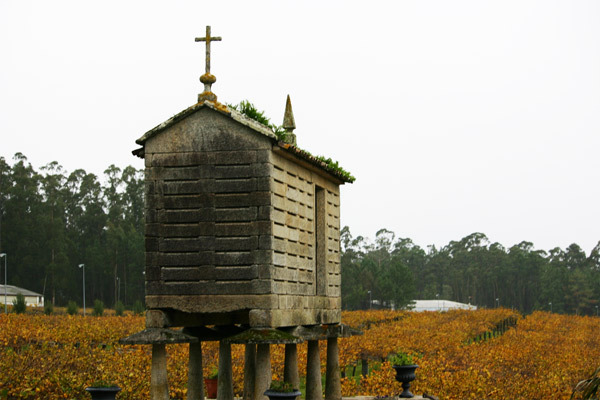 One of the areas renowned wineries is the Agro de Bazan Winery, located north of Vigo in España. The winery grounds were nearly as fabulous as the tasty wines. 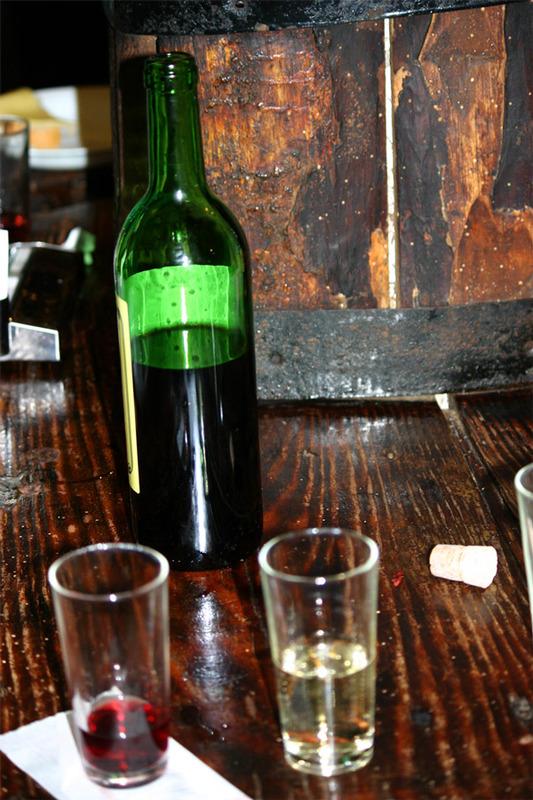 Granbazán Ambar, Granbazán Verde and Albariño Contrapunto are all three excellent wines. 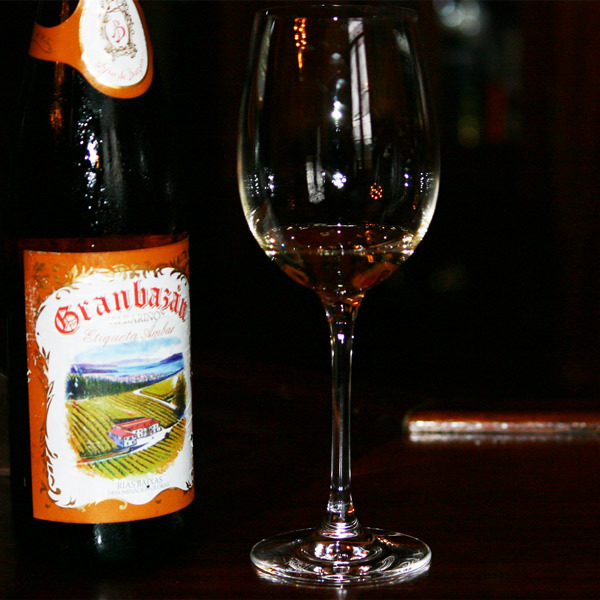 There is an immediate visual appeal when pouring the golden colored Granbazan Ambar. 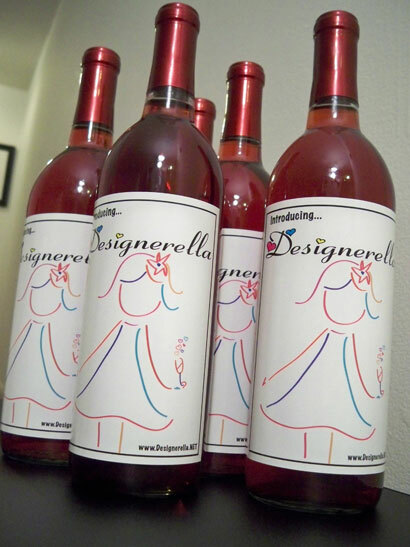 This wine also gives off an pleasant aroma of sweet fruits and flowers. 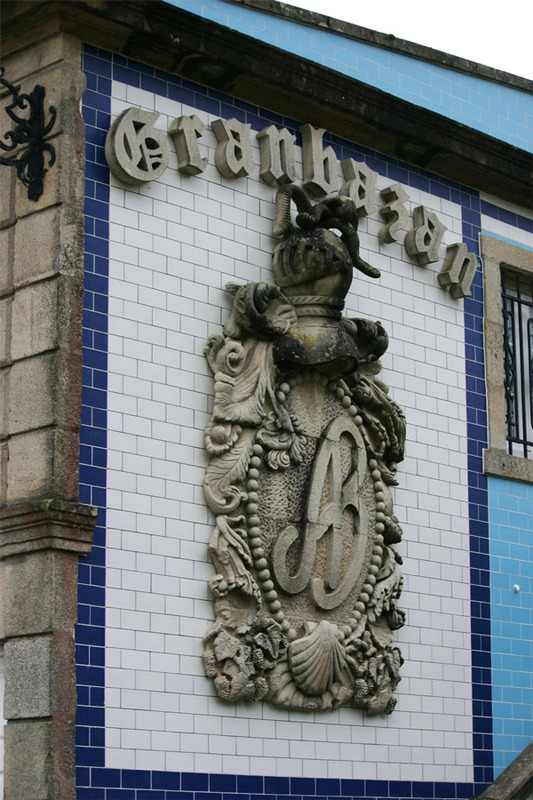 Granbazan Verde a typical Albariño wine that is made with white grapes. 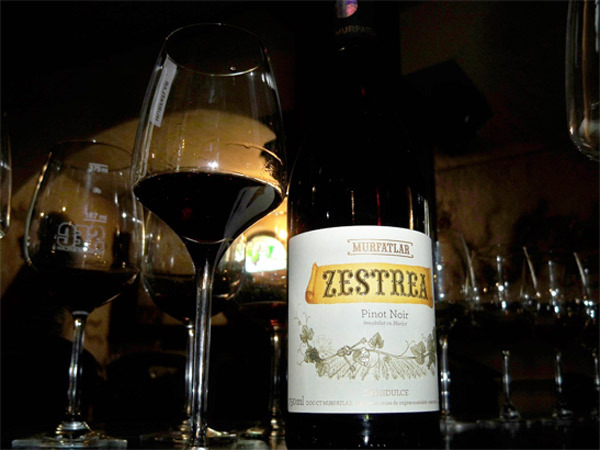 It has a slightly salty after-taste and has an aroma with hints of green apples and fennel. 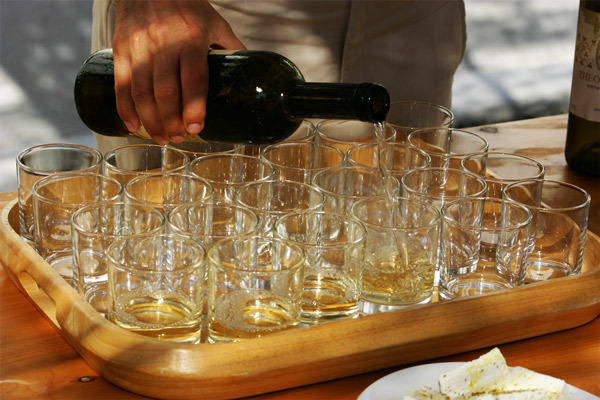 Albariño Contrapunto has fabulous fresh fruit aromas. 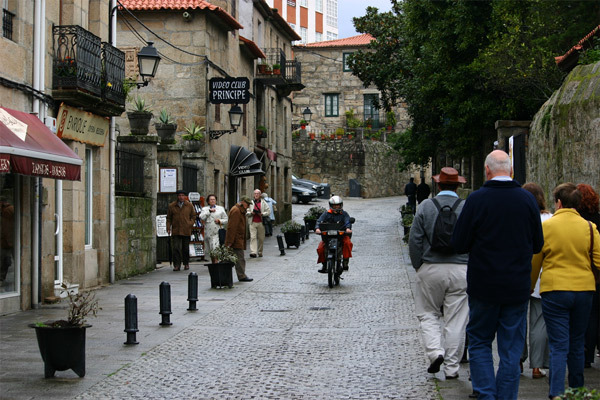 Cambados is another port city on the Spanish Atlantic coast. 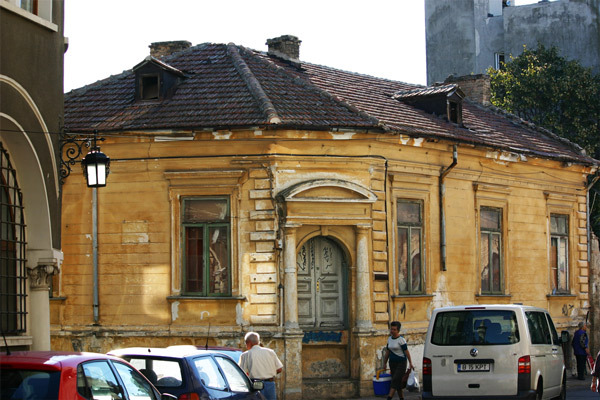 This village is a charmful town with lots of character. 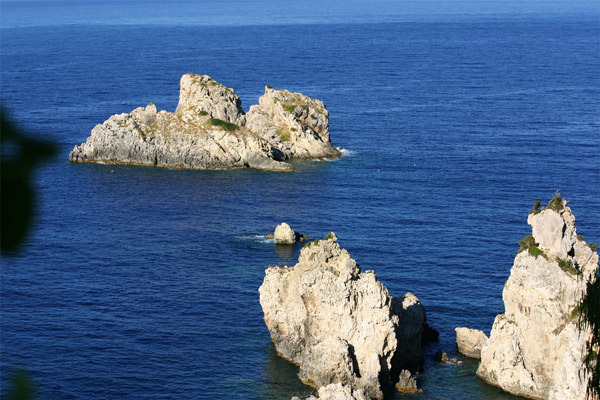 Being on the coast, fish is a large part of the economy and diet here. 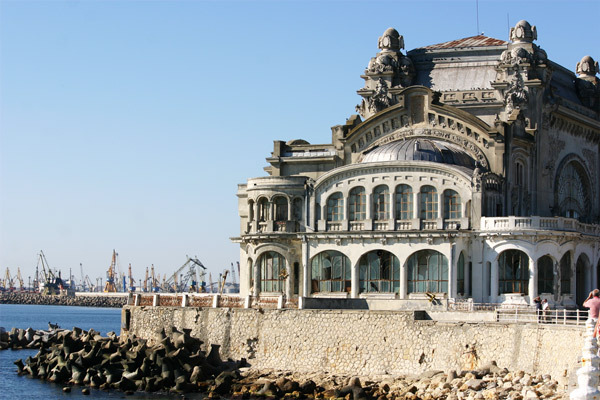 Unfortunately I arrived too late in the day and missed the daily fish market which is said to be superb. 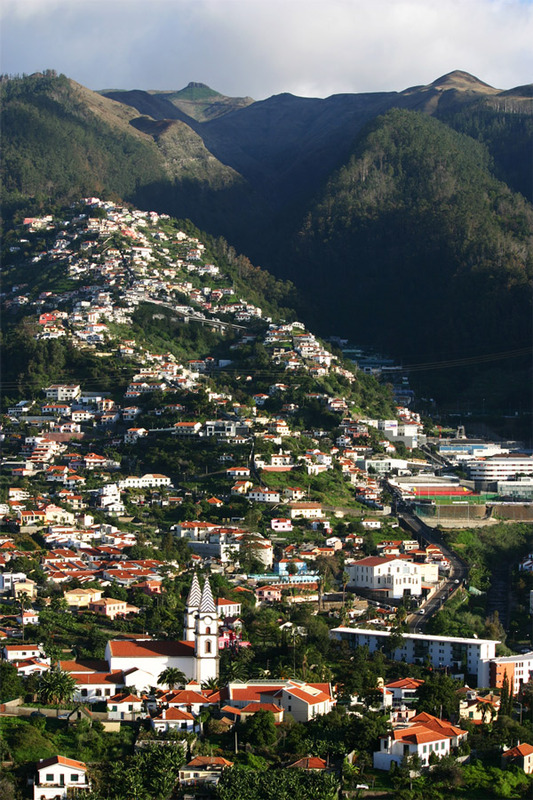 Olá (Hello in Portuguese) from one of Portugal’s finest islands, the island of Madeira. 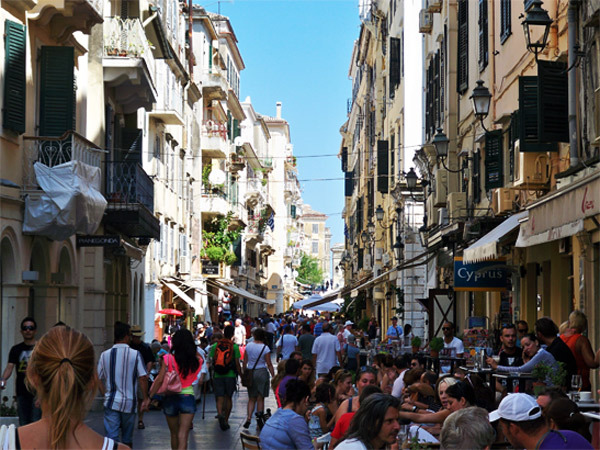 This island offers something for everyone. 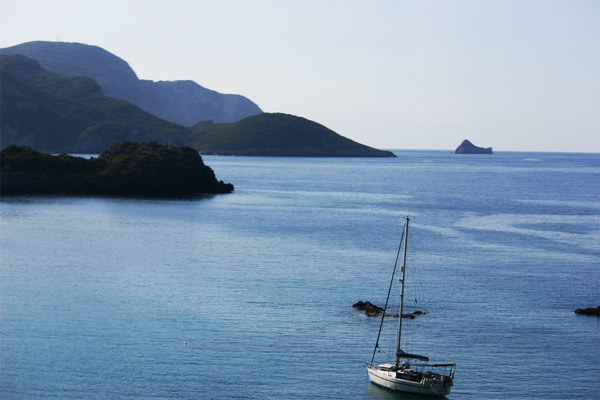 From beaches, to mountains, to shopping, to visiting wineries, to climbing a volcano, to hiking in rainforests, it is amazing the variety of adventures you can find on this small island. 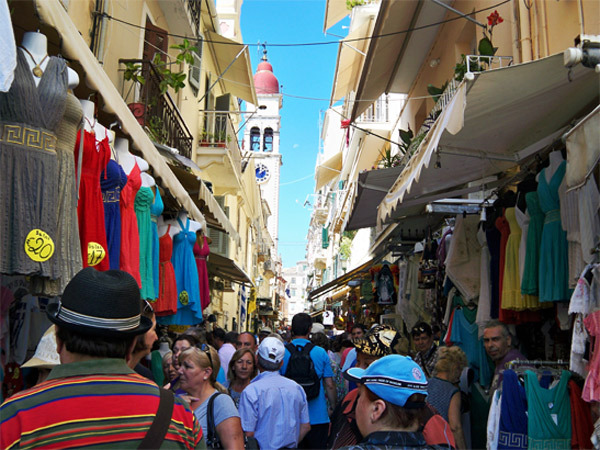 However there are two things which are a must do on the island. 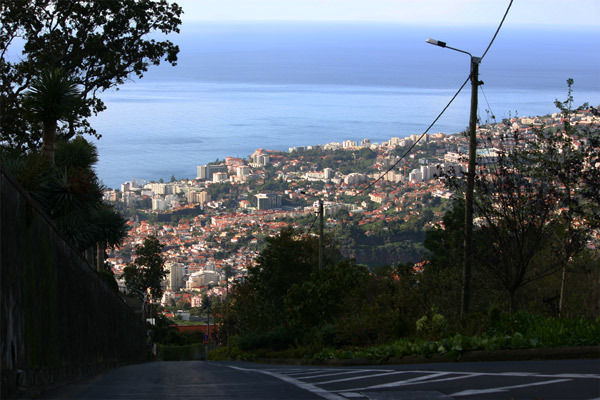 The first is to take the cable car from the port of Funchal to the town of Monte which is 1,800 feet up the mountain. This 15 minute ride provides the most breathtaking views of the Atlantic Ocean. It is not a cable car in the San Francisco sense. 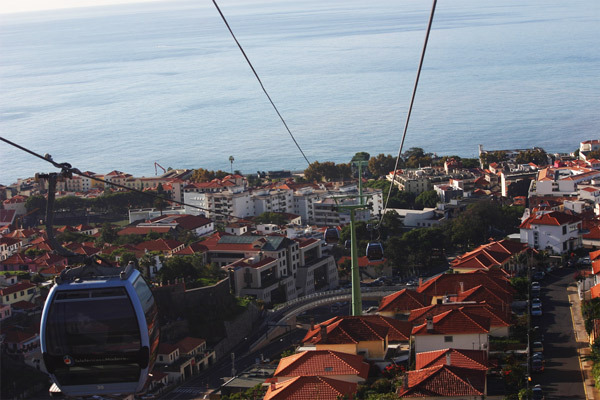 It is more of a closed gondola that hangs from a rope similar to a ski lift. 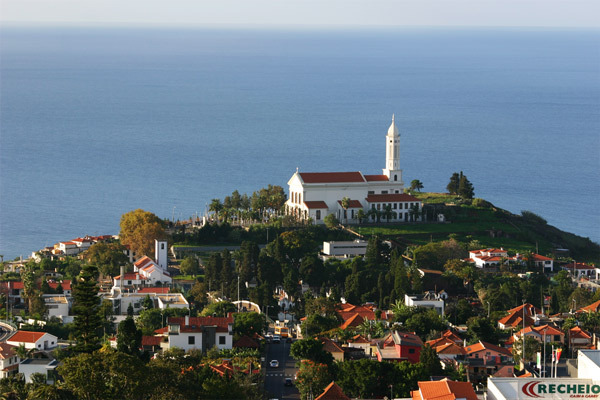 Upon reaching the top you will find the best attraction on the island–the toboggan ride! That is right, ride a street toboggan down the mountain in the most amazingly wonderful experience!!! 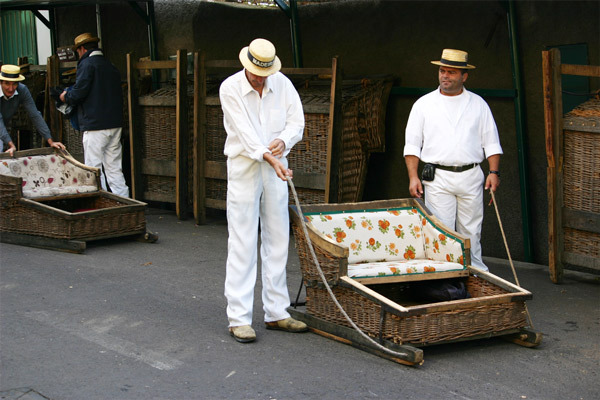 Two people may sit in the wooden toboggan wagon, while two experienced men steer you safely down the steep mountain roads. 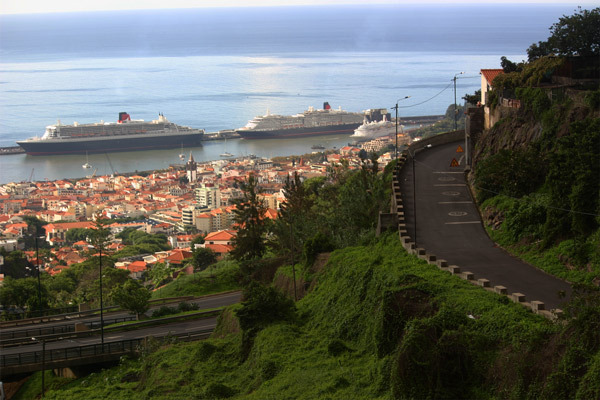 Since the 1850s this has been the best mode of transportation down these steep cliffs. The guides are remarkable as they manage to bring this basket down the mountain while all the cars pass by. This mile-long thrill ride beats most roller coasters. Reaching speeds of 30 mph it seems much faster as you have neither seat belt nor a helmet. 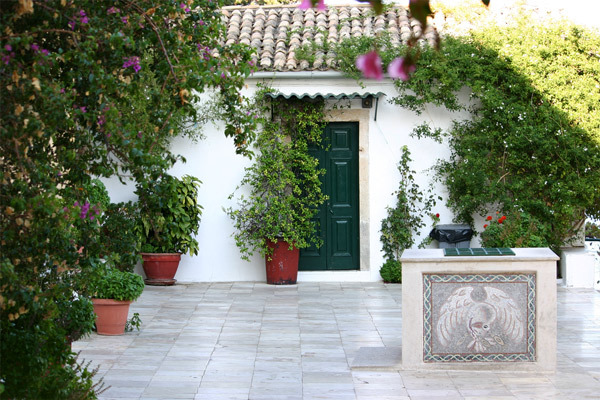 So, say a prayer and hope these Portuguese guides have a successful journey for you! This picture captures the steepness of the hill. Halfway down this hill brings you up to full speed! 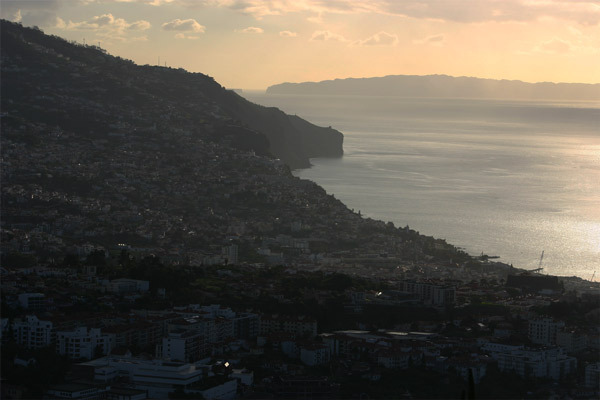 The semitropical environment with the volcanic soil give the grapes of Madeira a very distinct taste. 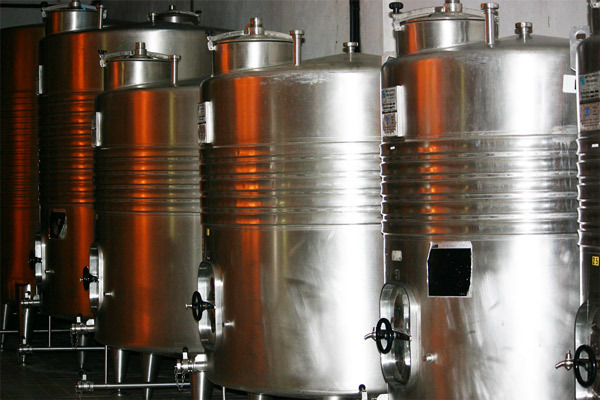 These of course can be used to create wonderful wines, making the island a must visit for all the wine lovers out there. 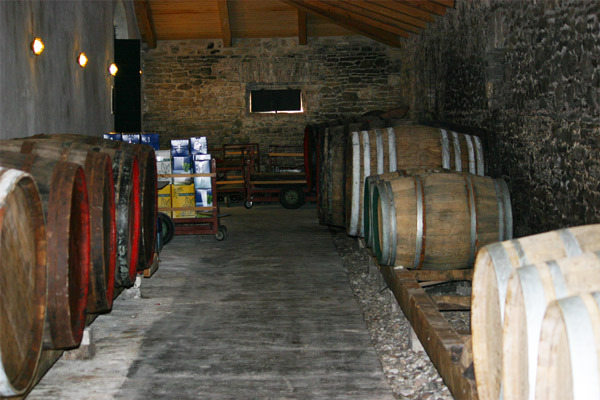 One of the island’s finest wineries is Blandy’s which has an incredible selection of wines from the white sweet all the way to the dry. As always, my favorite is the dry red wine. 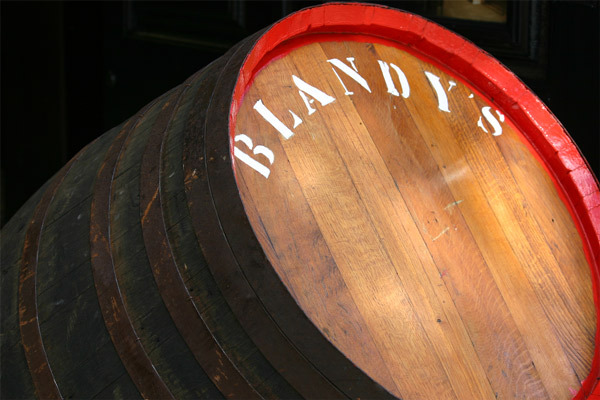 Unwinding by sipping some of Blandy’ dry red is a great experience after the thrilling toboggan ride.